Alan Stoyel is a researcher and enthusiast with a wide knowledge of watermills throughout the UK. He has studied mills of certain regions where he has lived in particular detail. 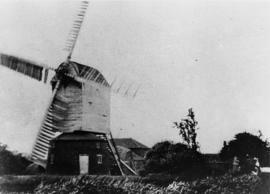 Alan restored his own watermill, Venn Mill at Garford, Oxfordshire, in the 1980s. He is also a Mills Archive trustee.